Munich – There was one statistic from FC Bayern Munich's 2-0 victory against VfL Wolfsburg on Friday evening which epitomised the dominance the record champions currently exercise over the rest of the Bundesliga. When Manuel Neuer had to parry clear a Diego free kick in the 77th minute, it was the first shot on his goal in over four hours of league football. Neuer had precious little to do for the rest of the game, but after Mario Mandzukic had struck against his former side with a superb overhead kick in the first half, it took until injury time for substitute Arjen Robben to settle the score with an emphatic late finish, making the save all the more important. Bayern hardly lit up up the Volkswagen Arena, but that made made little difference to Germany No1 Neuer. “We’re having fun," said the 26-year-old. "We just tried to play our own game and keep a clean sheet. We’re all happy with the victory." And well they might be. The Bavarians’s lead at the top of the Bundesliga now stands at a staggering 15 points, after second-placed Borussia Dortmund beat Eintracht Frankfurt on Saturday. 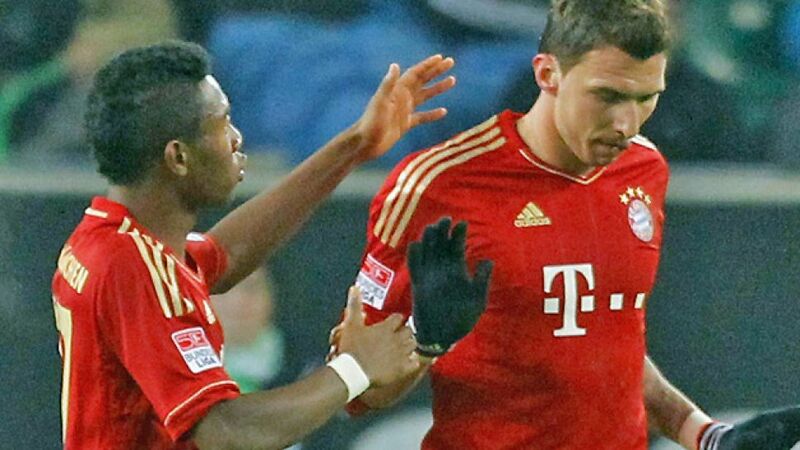 In 2013, Bayern have won five games from five, scoring 13 goals and conceding none. In attack they have hit the back of the net 57 times, while Neuer has been beaten on just seven occasions all season, conceding a goal every 283 minutes on average - less than one every three games. The encounter followed much the same pattern as the club’s previous two away games in 2013 in Stuttgart and Mainz, where the Reds came up against determined opposition but ultimately recorded comfortable wins. “It was similar to the game [in Mainz]," said Bastian Schweinsteiger, who had more touches than any other player with 103. "It was a match with a lot of 50-50 challenges against an aggressive team. We’re satisfied with our performance."